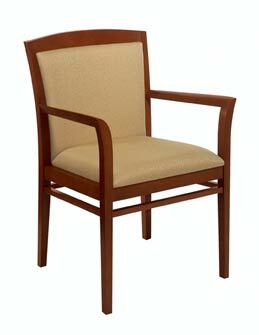 This wood chair features several significant elements beginning with the outward curved front leg that captures an intricately shaped arm. 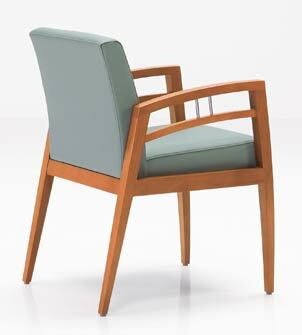 The back legs have an outward flare as well that support a variety of back styles, including horizontal wood slats, fully upholstered and 1/2-upholstered backs. 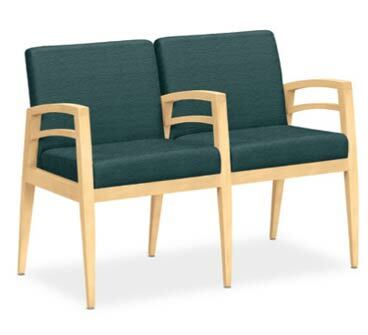 Envision engaging guest seating. 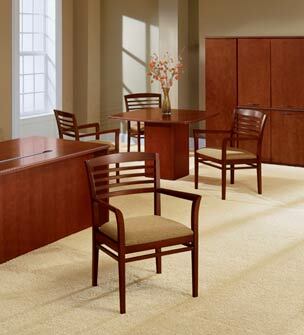 Easily realize visual coherence in public and private spaces. 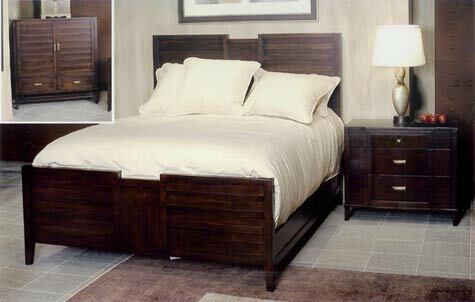 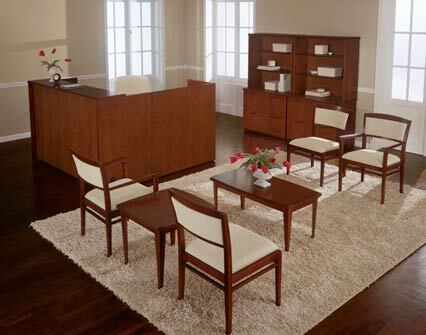 Comfort and style preferences flow from arm and back choices of distinct wood and upholstery combinations. 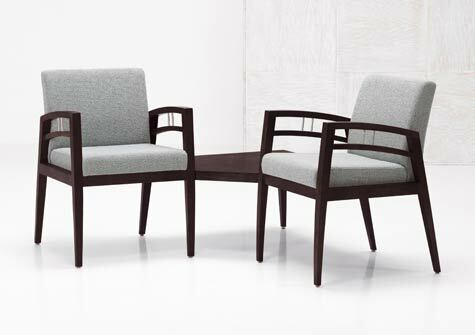 Paoli Furniture introduces Miraval, a contemporary seating and table line featuring graceful form and comfort in-sync with optimal function goals. 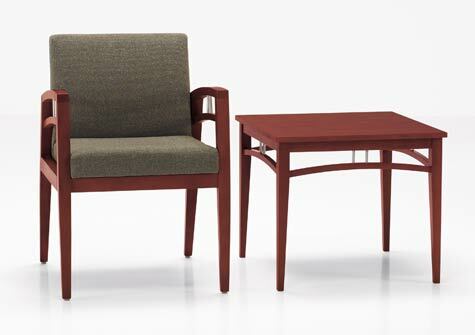 Addressing the aesthetic and functional needs of varied applications, the new offering includes guest chairs, freestanding tables, and in-line tables and chairs for use in waiting rooms — from large public spaces to small lobby seating arrangements — and executive offices. 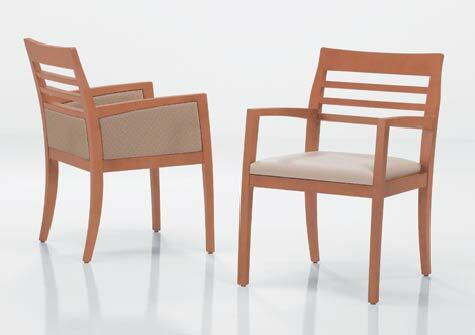 A chair designed exclusively for Paoli Furniture, Ripley seating is a versatile mixed-material design. The combination of horizontal wood back rails and vertical steel spindles gives this chair a distinct visual impact, while the comfort remains most important. 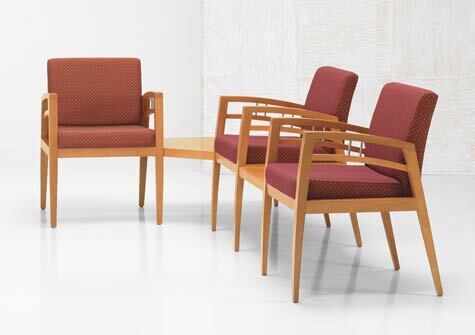 Paoli Furniture introduces the Shoji seating series featuring the essence of contemporary and Eastern design attributes at a value price point. 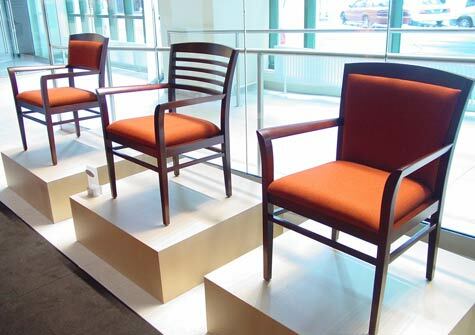 Shoji seating presents specifiers with a choice of four wood back panel designs, and is appropriately proportioned to fit virtually any interior application — lobbies, foyers and executive offices. 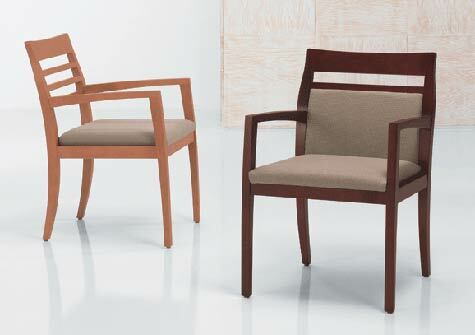 This simple, traditionally inspired seating collection for JOFCO is very suitable for nearly any interior application. 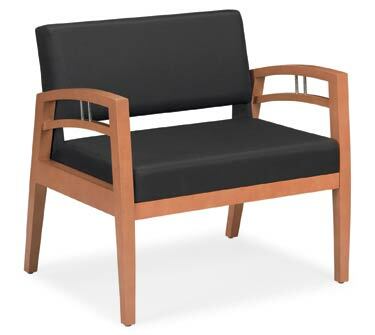 Its features include a regency-inspired top rail, two interchangeable backs, a fully upholstered back option, and two seat upholstering options. 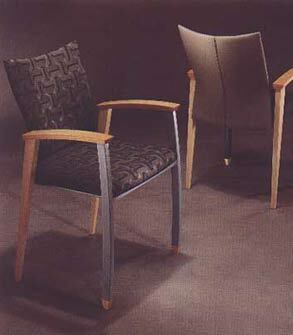 Bringing all of these elements together we are left with a significant and elegant seating collection for JOFCO called Carlton. 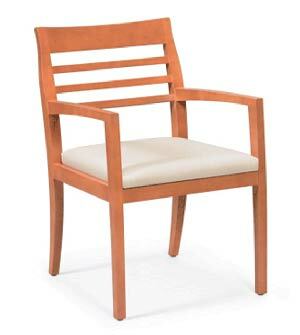 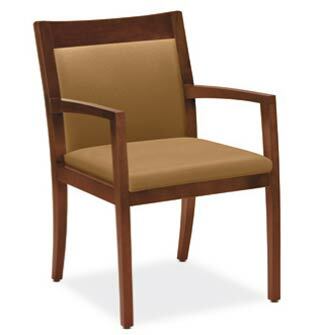 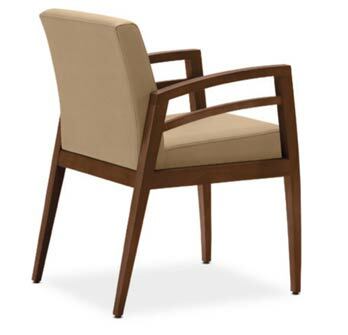 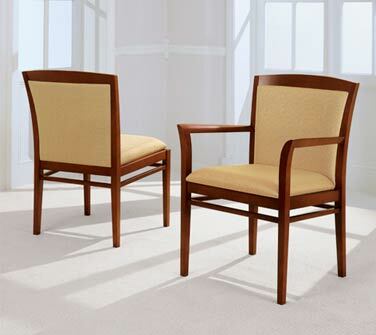 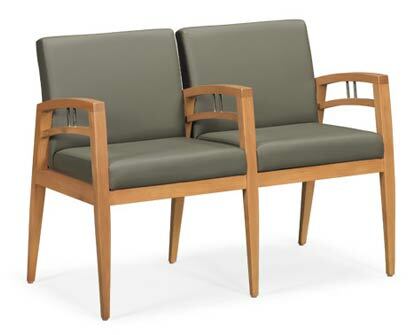 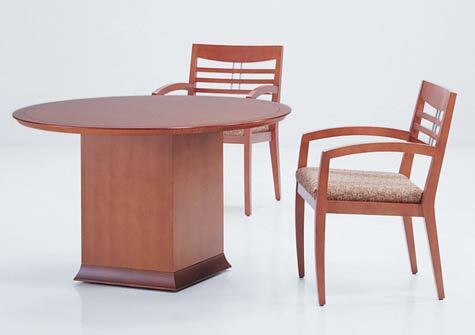 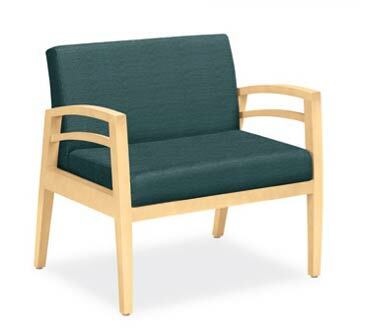 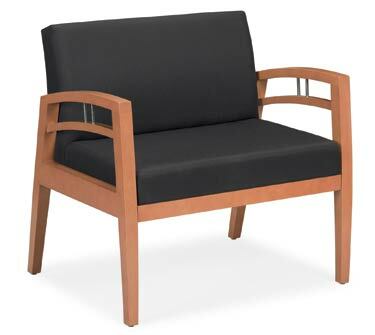 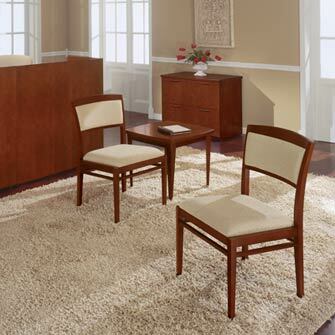 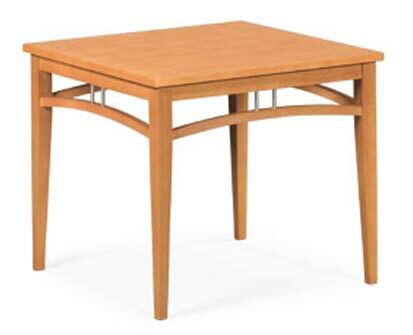 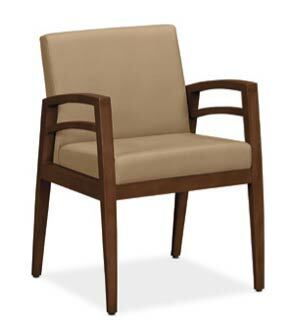 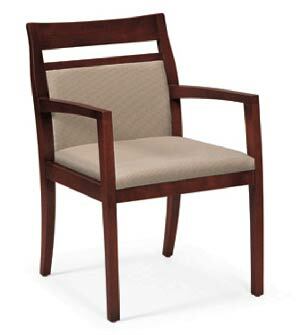 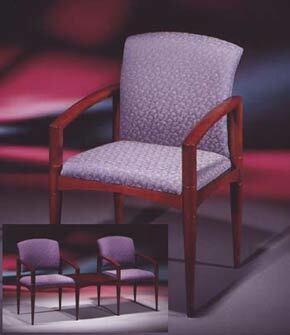 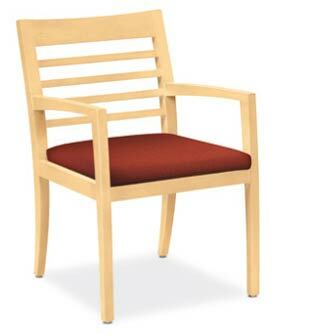 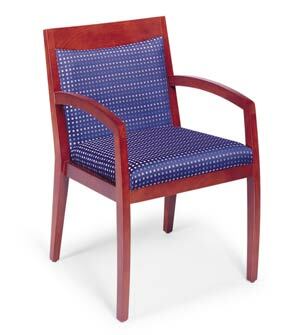 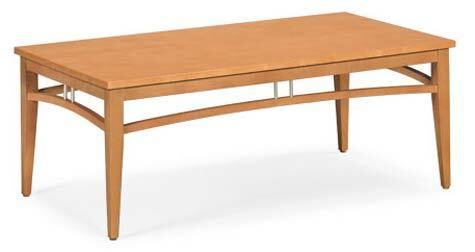 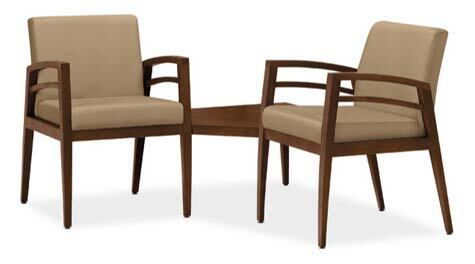 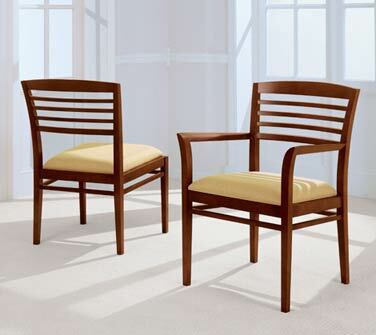 Laurus guest seating displays a gently curved hardwood frame with a contoured upholstered seat. 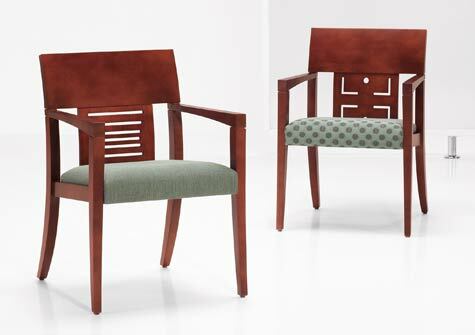 This guest chair offering includes a horizontal slat back or an upholstered back option in a variety of finishes and fabrics to create artfully coordinated seating arrangements throughout the office interior. 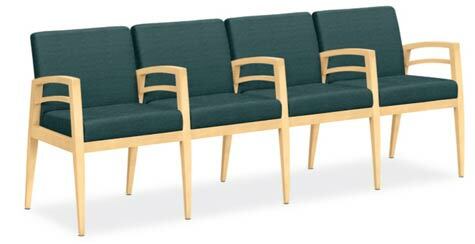 Riley is a freestanding seating collection with the capability of in-line seating and table configurations. 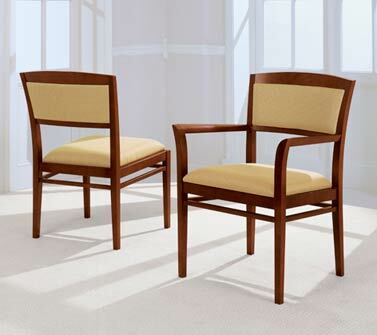 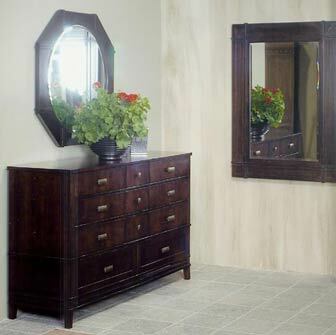 Riley's transitional design elements complement virtually any public space while its elegant lines and quality craftsmanship make it equally suitable for an executive suite with comfort and flair. 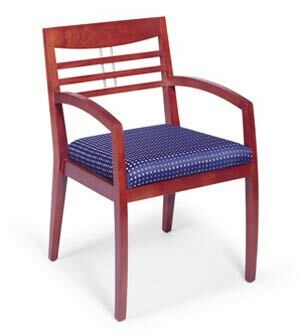 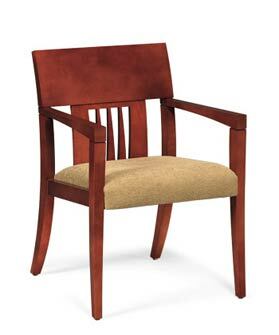 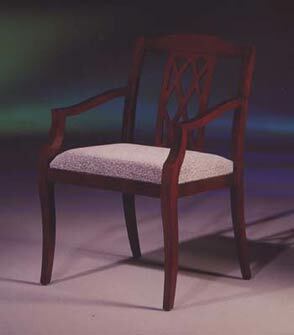 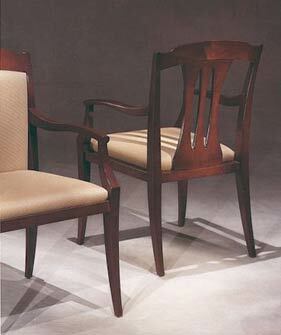 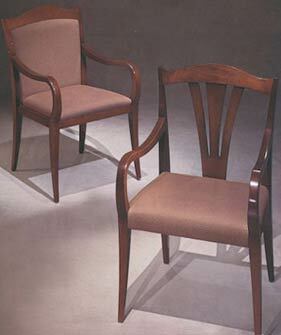 This chair offering is made from select hardwoods and available in a multitude of fabrics and finishes. 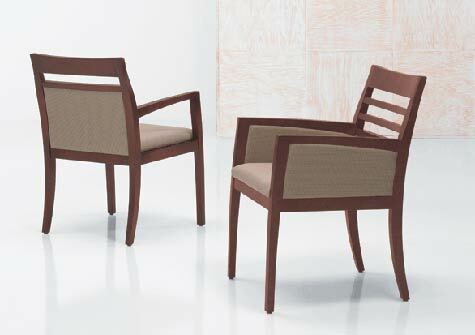 Agenda features many design elements that set it apart from other price-sensitive seating lines. 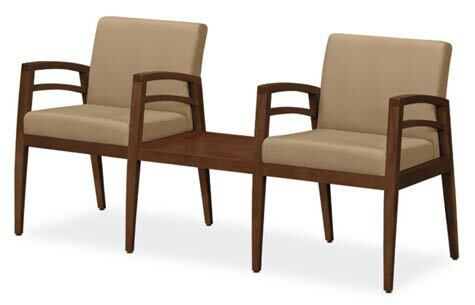 This guest seating line is also available as a tandem seating group inclusive of in-line tables, benches, and freestanding occassional tables. 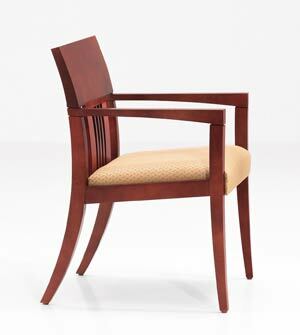 Alloya features graciously curved steel front legs made of rectangular tube steel with a solid maple foot inserted into the tubing. 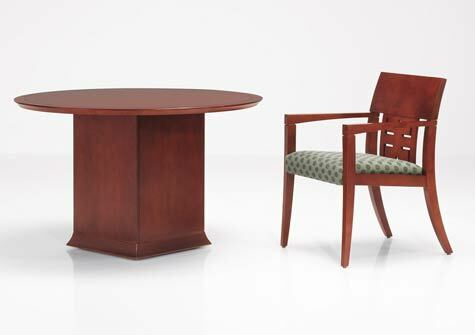 Bridging these steel front legs to the delicately tapered back legs are solid maple arms shaped in an arc with beveled sides. 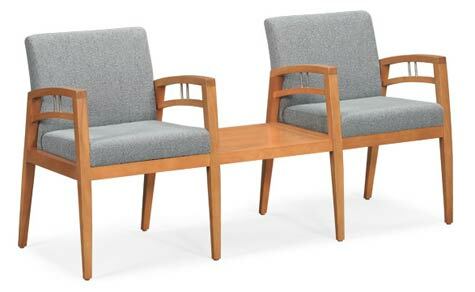 This wood/steel combination is then softened by an upholstered, curvaceous plywood back fastened to the metal seat chassis on the bottom edge only, providing its user flex in the back when seated. 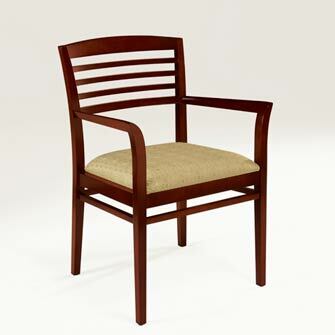 This guest chair is especially interesting for its unusual back of woven veneer slats intertwined among 1/4" solid wood spindles. 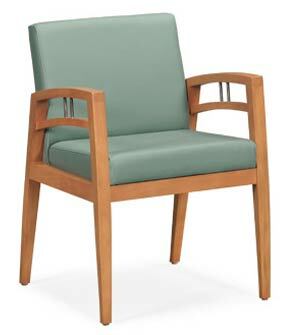 This chair is also available with a fully upholstered back insert allowing specifiers to mix and match textures within various interior applications. 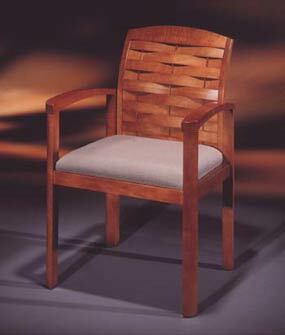 A broad range of products are offered in this collection that received its inspiration from a tropical island getaway. 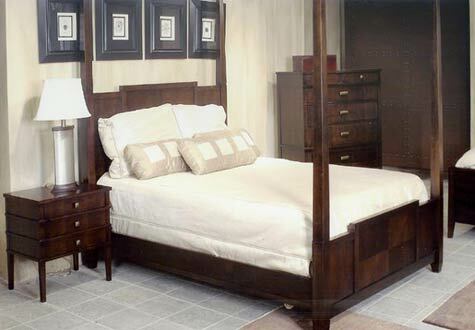 The features of the bedroom include a sculptural, paneled headboard, tapered square posts, delicate stretchers, and framed drawer and door fronts. 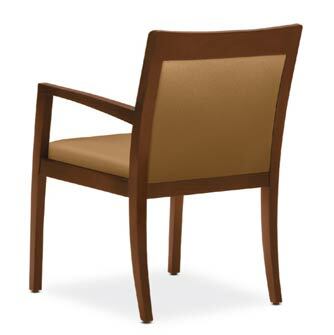 The dining room products reiterate these sculptural elements in addition to the window-pane back chair and the breakfront sideboard and hutch. 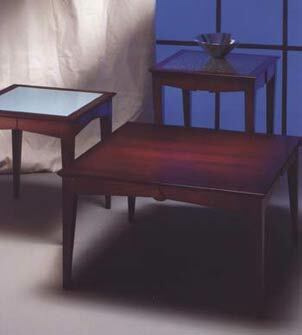 This table collection involves many design elements which include tapering legs, geometric shapes, and changing planes on the apron. 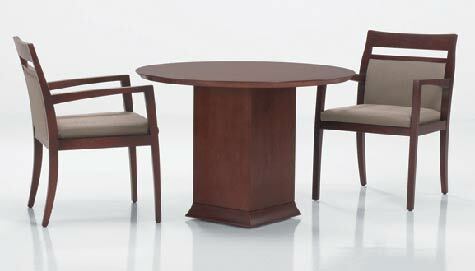 The combination of such elements creates the drama for this table collection. 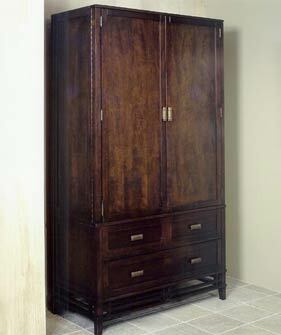 With all of these elements married together, we are presented with Curtain Call. The inspiration for this series comes from various traditional style elements combined to create an exemplary guest chair for the office furniture industry. 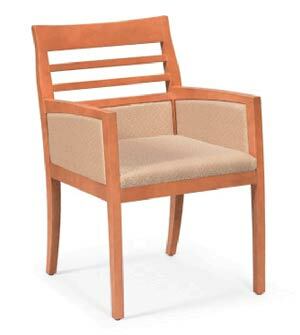 Its features include three interchangeable backs that are pierced with traditional motifs, three top rail designs, and an upholstered back option. 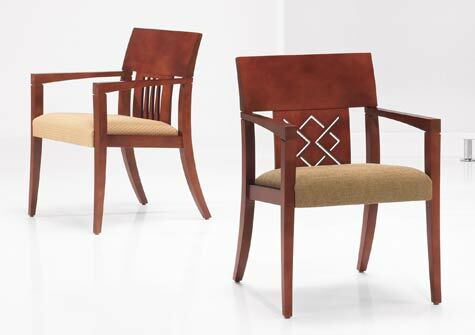 Serpentine is very competitive in price and style and will compliment virtually any interior project. 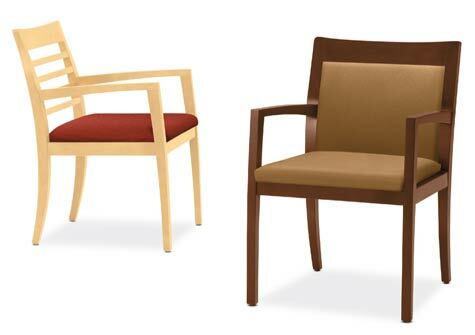 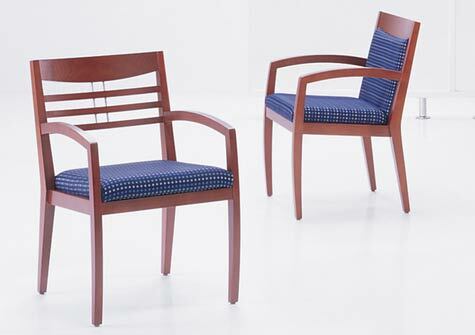 Another prominent seating design for JOFCO is the Waltham guest chair. This chair is of traditional styling with its "plume" and "trellis" banister backs that are not only interchangeable within Waltham, but also within the Carlton guest chair. 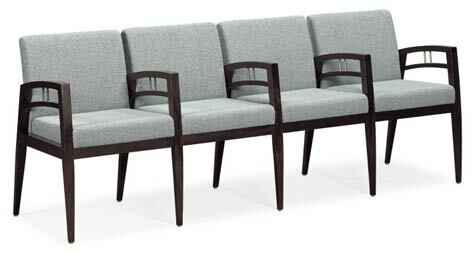 Waltham guest seating is available with an upholstered back option and two seat upholstering options.